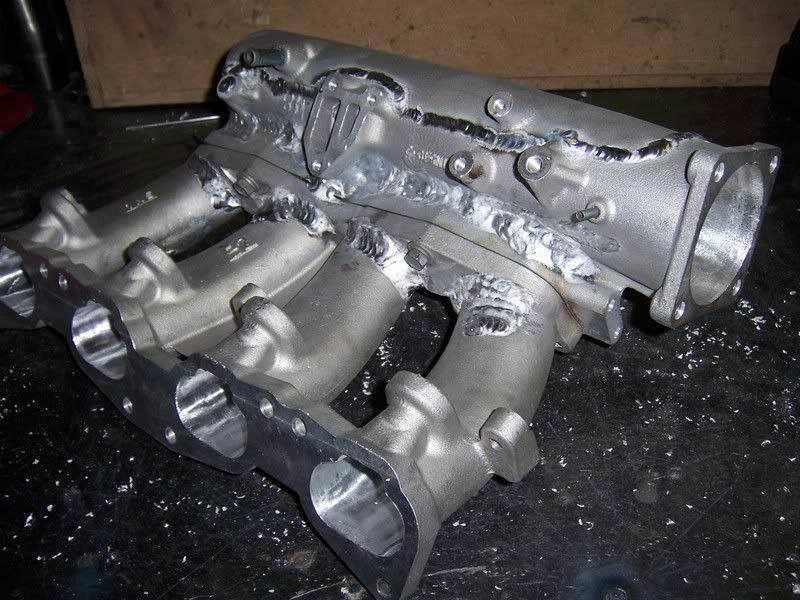 So i've done a few of these N1 manifolds, cutting them open and porting them out. I've done probobly 4 by now and each one gets better. 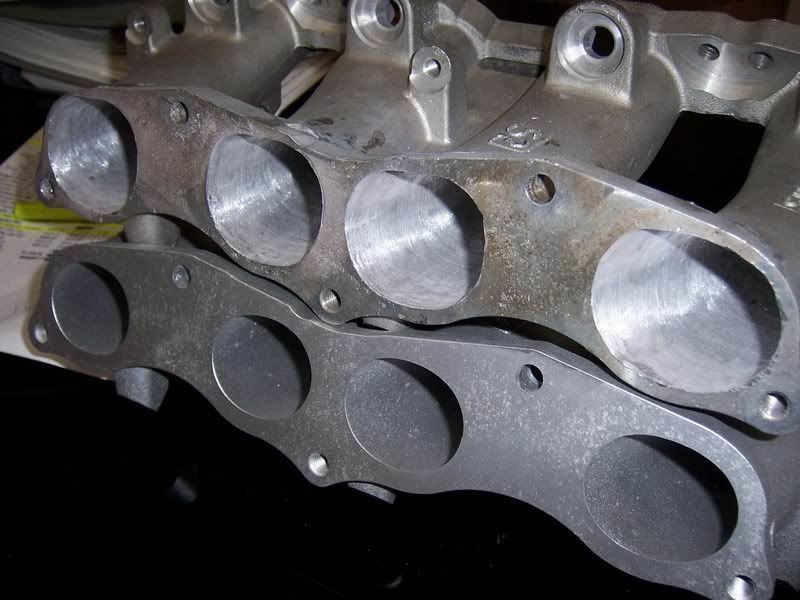 You have to weld them up in a few spots to add material and strength before cutting open and porting. 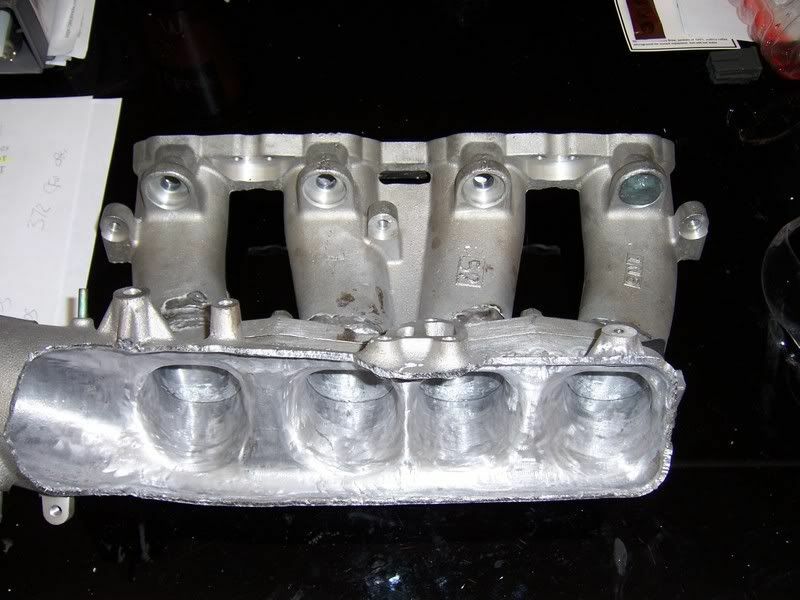 I took a few pics of the manifold next to a stock n1 lower runner section as well. 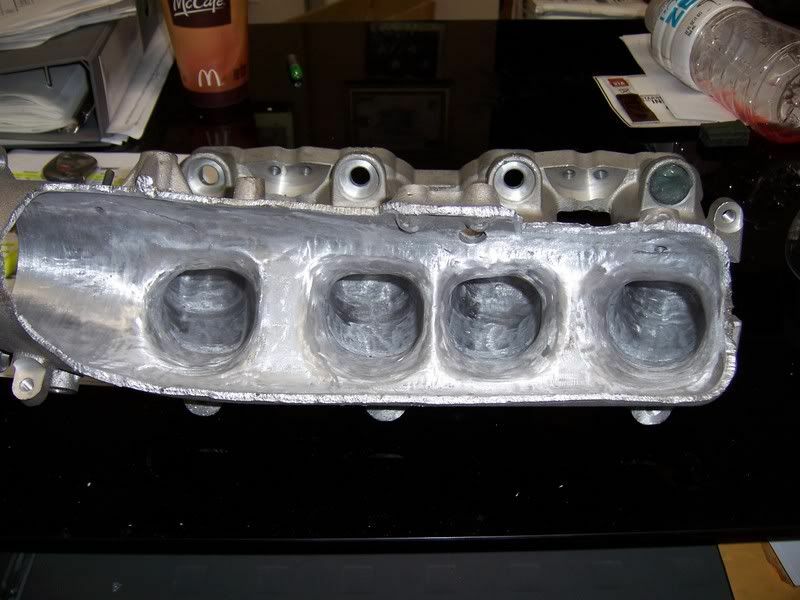 This was before i finished "prettying up" the inside of the manifold. 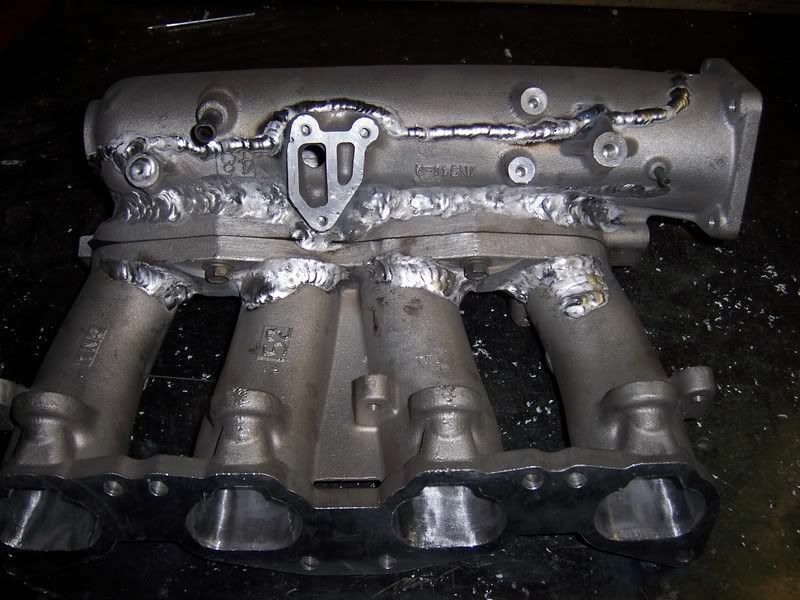 The ported N1 manifold before welding the plenum on flows 391cfm, after welding it on, they drop to about 375 cfm average on all 4. low of 371, high of 378. 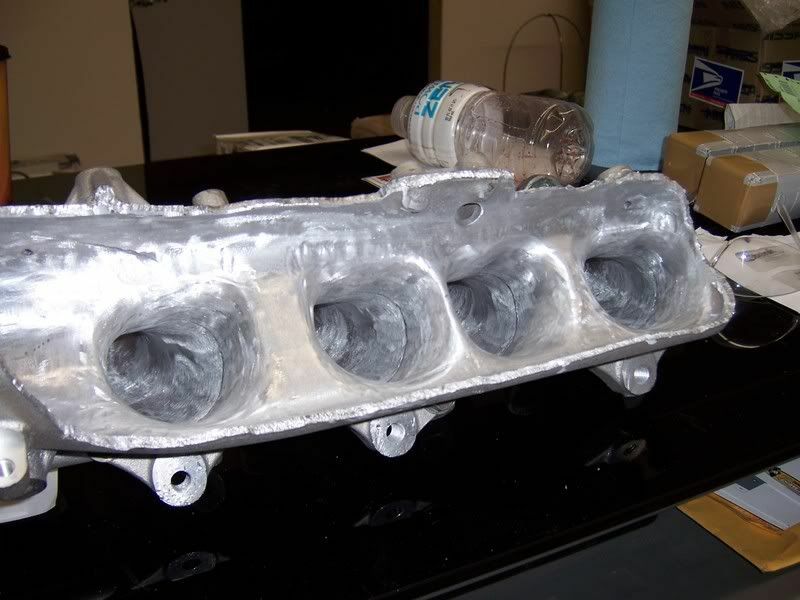 The ported head that I have (done by someone else, not me) flows 280cfm @ .500" lift... With this ported N1 intake manifold bolted on the flow drops from 280cfm to 274-276cfm. Only 4-6 CFM drop which is awesome. 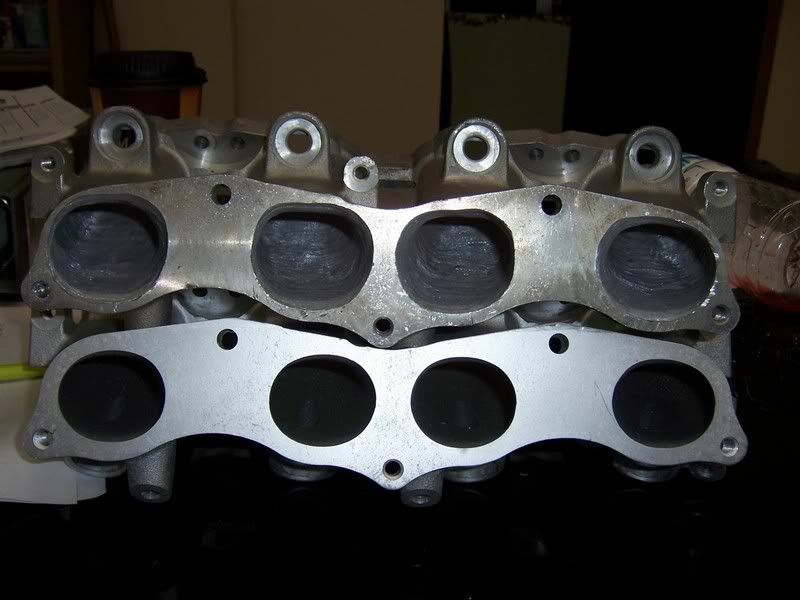 A correctly designed intake manifold can actually increase the "total" cylinder head flow if the taper and design are correct.